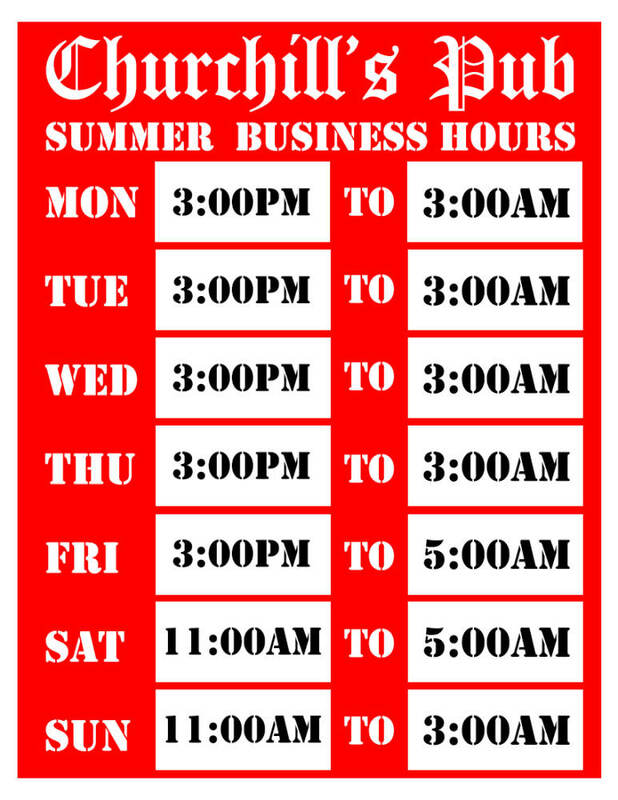 Heads up everyone we've had a small change to our hours of operation for the summer. Monday through Thursday we will be open 3p until 3a. Friday we are open from 3p - 5a. Saturday we are open from 11a until 5a. Sunday we are open 11a until 3a. Weekday happy hour "2 for 1" until 8p and select happy hour specials on weekends until 8p. The Rolling Stove has taken over our kitchen and be serving up their incredible food. Make sure to follow them on your preferred social media stream. Come try them out tonight for the Miami Jazz Jam at Churchill's Pub! Starting tonight too there is no cover on Monday nights!